The Elisa Dresser keeps you in style and trendy always. It is engineered from MDF wood and completed with melamine finish. 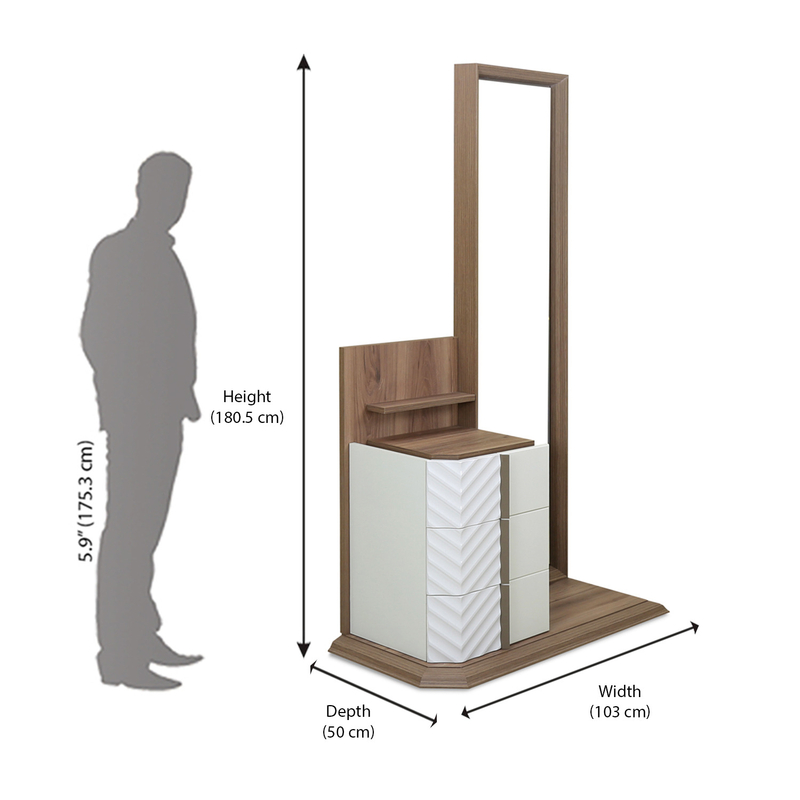 The full-length mirror on the right-hand side saves you from wardrobe malfunctions every time you check yourself in the mirror and gives a pleasant start to your day. On the left side, there are 2 shelves and 3 drawers of full size. The shelves will help you accesses handy vanity products, and the drawers will keep all your essential things like cosmetics and accessories together and make your room clutter free. The sturdy base assure that nothing will fall off from their places and the sleek design will not take much of your bedroom space. The combination of white and walnut gives a contemporary look to your bedroom and goes well with almost every bedroom décor. The dimensions of this product are 1030 mm width, 500 mm depth and 1805 mm height. This Elisa Dresser has everything you need before you head out and will play an important role in building your confidence and will help you with all your rehearsals and practices before an important presentation or your play. Get this now from @Home.